We have had one cold and wet weekend here in Melbourne. It’s been a great day for crafting in my craft cave with my heater on and catching up Netflix while I created. I made a card for this weeks sketch at CAS(E) this Sketch. 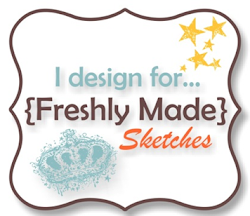 Sketches are my favourite and this fab sketch gave me a chance to create a baby card. 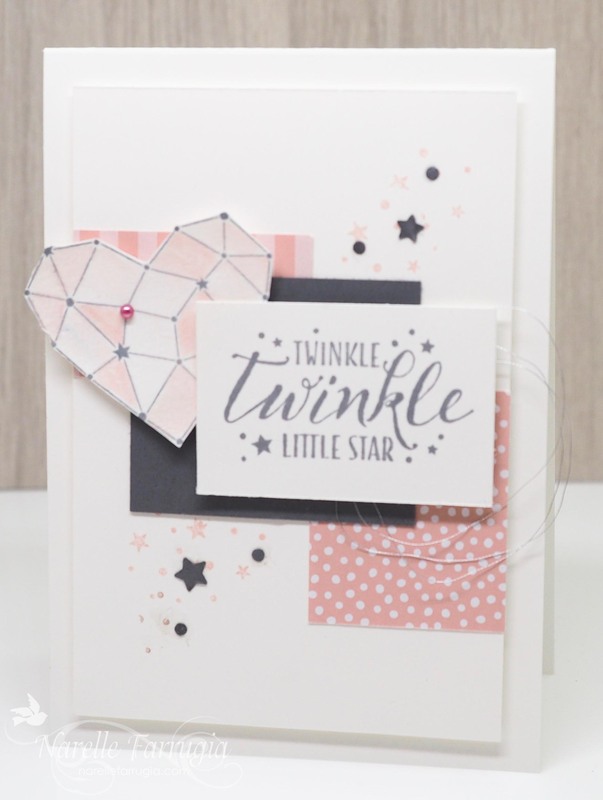 Stampin’ Up!s Little Twinkle Stamp Set is a sweet little set for baby card. The constellation heart is just gorgeous and I’ve been wanting to use it as soon as I opened my latest order. I gave it a light watercolour and added some darker shade to some of the shapes with Blushing Bride Ink. I also added an Artisan Pearl for a little bit of twinkle to go with the sentiment. The sentiment is also from this set and I think it adds a fun-ness to a baby card. 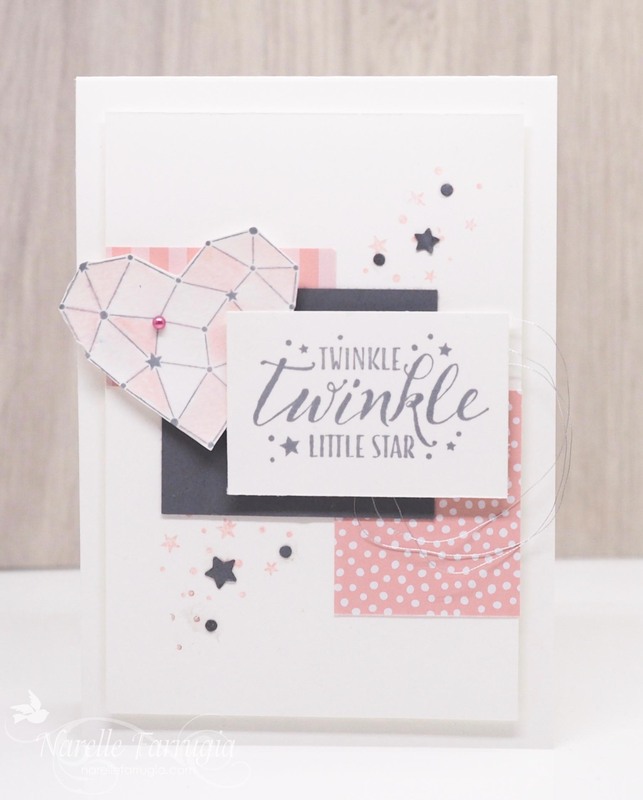 I also used the star background stamp in patches and then added some circle and star punches made with my Twinkle Builder Punch. 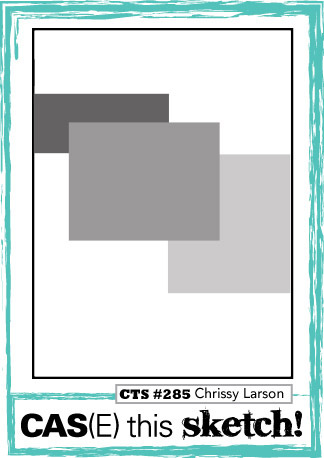 The designer series paper I’ve used is from 6″ x 6″ Subtles Designer Series Paper Stack. Hi - I'm an Independent Stampin' Up!® Demonstrator in Keilor Downs, Melbourne, Australia. I'm a busy married mum with two children and love to create cards in my spare time.